I cannot strongly enough say two words about “Surf’s Up”: Run Away! And “rude humor”?? There is an entire scene devoted to someone urinating on someone, as a “cure” for a sea urchin sting. And it isn’t done tactfully or delicately. In fact, it is in your face with relish. 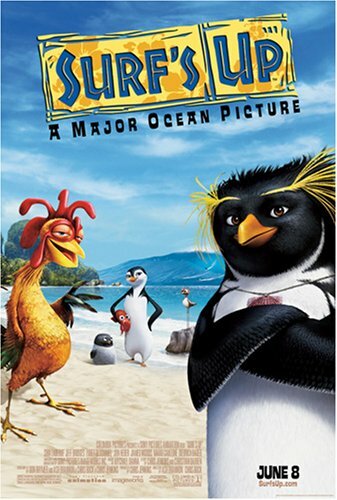 I cannot recommend “Surf’s Up” for children of any age, although it’s not a bad movie for adults. It’s a shame, because it would have been a great movie without the language and rude scenes, which were completely unnecessary to the story.